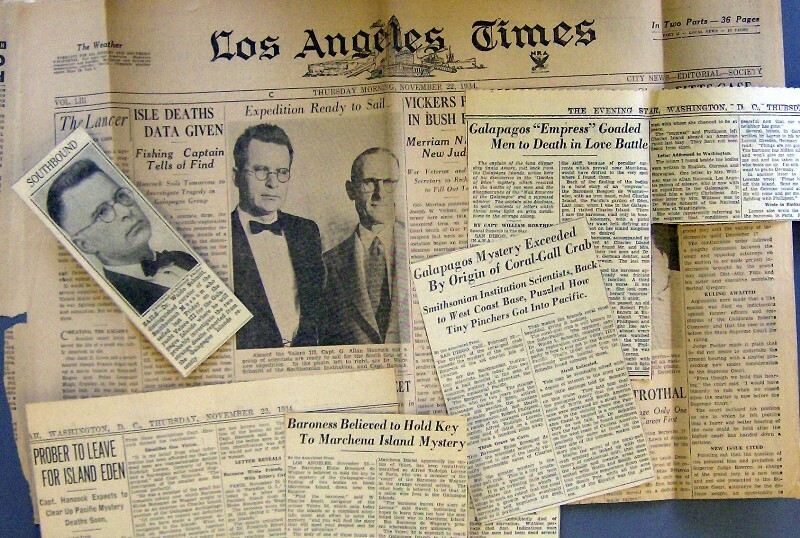 This is the first in a series of "murder mystery" posts about a 1930s Smithsonian scientific expedition, and is based on records in the Smithsonian Institution Archives' collections. One of my first projects as a new employee at the Smithsonian Institution Archives in 2006 was to help prepare our collections for the move from the Arts and Industries Building to our new home at Capital Gallery. We were sitting around a table, putting the contents of the 189 boxes of Record Unit 7231, the Waldo Schmitt papers, in acid-free folders. Schmitt, an expert in marine invertebrates, worked at the Smithsonian's National Museum of Natural History from 1915-1977. He was an engaging diarist and correspondent, monumental record-keeper, and packrat who left us a massive amount of material documenting his 60-plus year career. 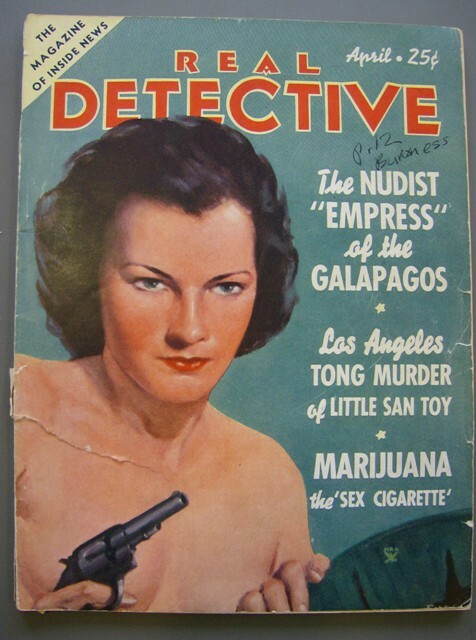 The volunteers I was working with started turning up some startling items amid the field reports and correspondence—pulp magazines from the 1930s, newspaper clippings with headlines straight out of the era of yellow journalism, and gruesome photos of dead bodies. They certainly piqued my imagination, so I thought the opportunity to blog for THE BIGGER PICTURE was a perfect excuse to go back to the Schmitt papers and try to piece together the story that those intriguing archival fragments told. And what a story it turns out to be! It has everything you’d expect (and wouldn’t expect!) from a Smithsonian expedition to tropical seas—exotic islands, fascinating wild fauna, stout-hearted scientists, a love triangle, and, very likely, murder. 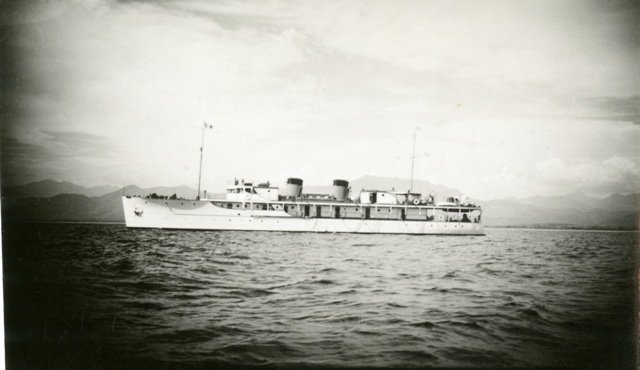 The Hancock- Pacific Galapagos Expedition of 1934 was one of three financed and led by Captain Allan Hancock—oil and railroad magnate, pilot, ship builder/captain, and agriculturalist—one of those Renaissance Man/tycoons so typical of the early decades of the 20th century. He financed the first non-stop flight across the Pacific, donated the La Brea Tar Pits to Los Angeles, and toured cross-country as a cellist with his own string ensemble. Waldo Schmitt contributed his expertise in crustacea to three of Hancock’s expeditions, and later accompanied President Franklin Roosevelt on a cruise to the Galapagos. Schmitt headed to the Galapagos once again with Hancock’s 1934 expedition, but according to his journal, the trip got off to a rocky start. On the first day at sea, there was the discovery of a stowaway on board—a young man who had been pestering the crew in California with requests to be part of the expedition. Fortunately, they were able to send him home via a passing fishing boat. [pullquote]Today all had short shorts on . . . broad-brimmed beach or sailor hats . . . They wear sandals and paint their toenails a bright red . . . I told them I didn’t like it. 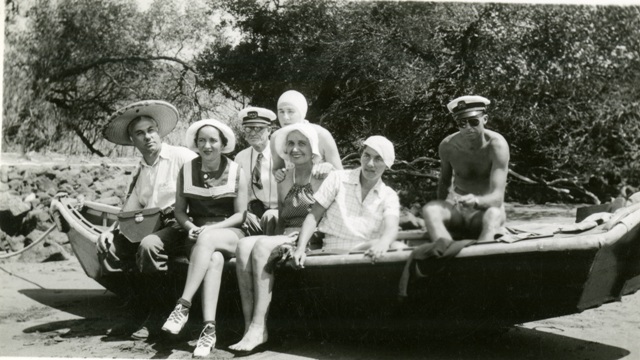 Waldo Schmitt diary, Smithsonian Institution Archives[/pullquote] Then, the women of the expedition emerged on deck dressed like chorines in a Busby Berkely musical. What if the stowaway was actually a reporter in disguise? Schmitt hoped that it would be kept out of the papers—he could just see the headlines reading: "Smithsonian cuties on voyage to nudist isle." In his diary, he noted: "Today all had short shorts on . . . broad-brimmed beach or sailor hats . . . They wear sandals and paint their toenails a bright red . . . I told them I didn’t like it." The headlines on the expedition’s departure from California had been bad enough. The fact that they were on a voyage to collect specimens for the Smithsonian and the San Diego Zoo had been buried in the last paragraphs! As far as the press and public were concerned, their voyage had one purpose—the identification of two mysterious dead bodies spotted by fishing boats on deserted Marchena Island. 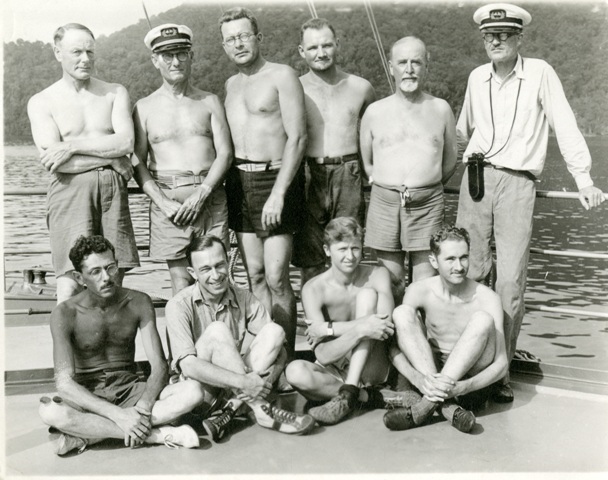 On their 1933 Galapagos trip, the Hancock expedition had made acquaintance with some oddly assorted German Utopian colonists on Charles Island (also called Floreana Island). Charles Island’s denizens had already provided the type of story that Depression-era news media ate up and exaggerated all out of proportion—nudism! crackpots! canoodling in the tropics! The colonists themselves hadn’t helped matters any by contributing their own articles to the American press. In our next installment: The unidentified bodies were, in all probability, two of the Charles Island colonists. Who would the Velero find— the happily married couple, the philosopher/dentist and his paramour, or Baronness Eloise Bosquet de Wagner: the scandalous “Empress of the Galapagos Islands” and one of her retinue?